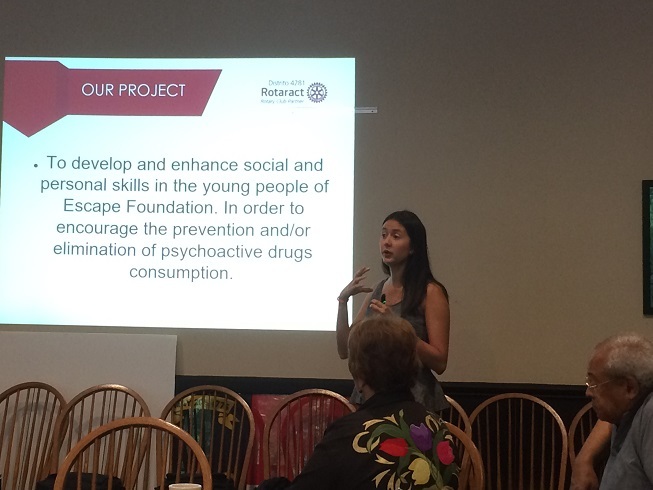 On May 23, we were delighted to have a visiting Rotaract member from Bogota, Colombia, Carmen Juliana Villamizar Jaimes, deliver a program to our club on the signature service project of her Rotaract club in Bogota. Carmen visited us while a student of Physical Therapy and Business, who was in North Carolina on a term abroad at UNC-Chapel Hill. Her Rotaract Club’s long-term project, named the Escape Foundation, aims to improve the lives of children living in a poor and crime-prone neighborhood called Altos de Cazucá, high in the mountains and 1.5 hours outside of Bogota — by providing assistance, engagement, mentorship and hope, while children are still young, and before they are tempted by the allure of dangerous drugs and their associated dangerous business. 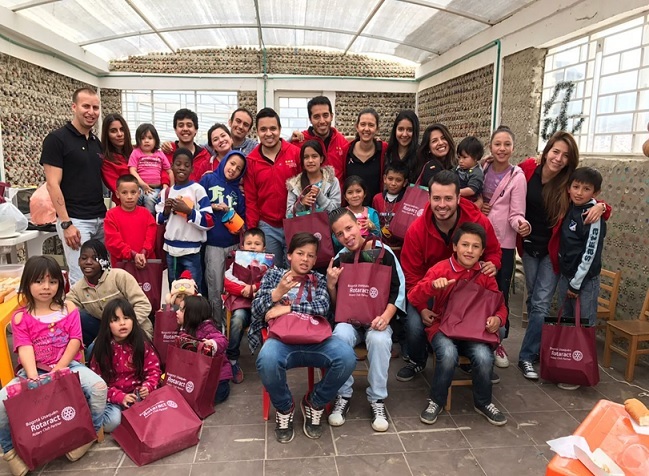 We were inspired by the vision, energy and resourcefulness displayed by Carmen and her fellow young Rotaractors, and by the wonderful work they are doing for children with, as Carmen put it, “Hearts full of dreams”. 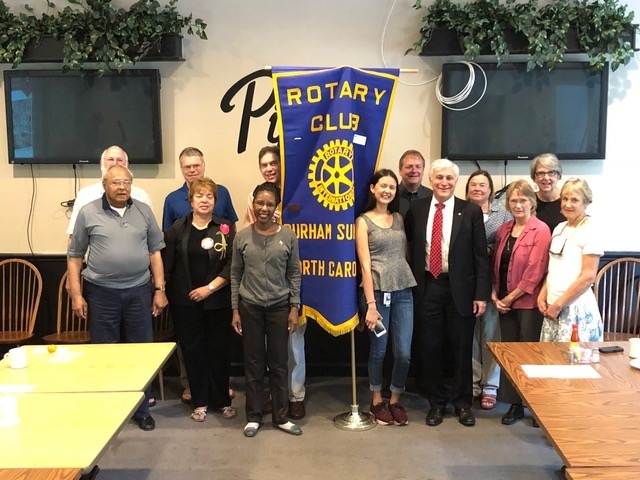 Well done Carmen, thank you for your club’s great work, and special thanks to Melissa Mills of the Durham (Downtown) Rotary club for introducing us to you !